Children's Hospital League...Bringing laughter and smiles to children and their families. 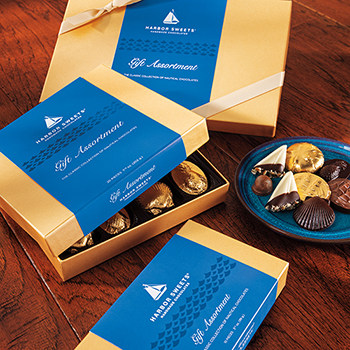 Each gift box contains a delightful assortment of the League's custom chocolates and Harbor Sweets chocolates, including Sweet Sloops. 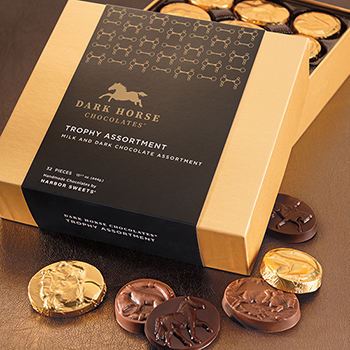 11 pieces. 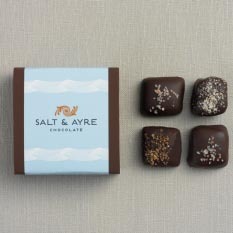 Harbor Sweets are made with lots of time and the finest ingredients. 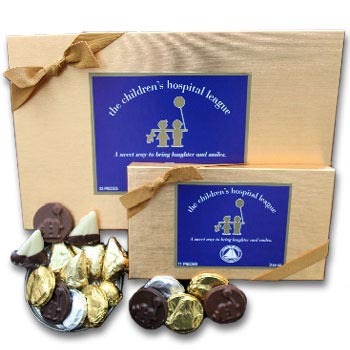 These are one or more the following: dark sweet chocolate (sugar, chocolate liquor, chocolate liquor processed with alkali, cocoa butter, butter fat, lecithin, vanilla), milk chocolate (sugar, milk, cocoa butter, chocolate liquor, lecithin, vanilla), white "chocolate" (sugar, cocoa butter, whole milk, non-fat dry milk, milk fat, soya lecithin [an emulsifier], natural vanilla flavor), sugar, U.S. grade AA creamery butter, toasted almonds, pecans, light corn syrup, fresh cream, evaporated milk, brown sugar, wildflower honey, lecithin, baking soda, salt, pure vanilla, blended raspberry and cranberry concentrate, crème fraiche (heavy cream and buttermilk), orange crunch (sugar, corn syrup, citric acid, natural flavor), oil of orange, peppermint crunch (sugar, corn syrup, natural peppermint oil, soy lecithin), oil of peppermint, lemon crunch (sugar, corn syrup, citric acid, natural flavor), and natural raspberry flavoring.